The Kaimon course is a beautiful scenic course lying at the foot of the Satsumafuji Kaimon Mountain at the southernmost point of Satsuma peninsula and utilizes natural geographical features. For the course design, the prominent contemporary designer, Mr. Seiichi Inoue was brought in and he completed the course based on his strong intention of creating a place 'for a professional tournament'. 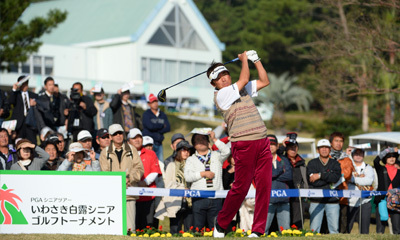 Hazards throughout on the course as well as 'Kaimon Oroshi', the gust of wind blowing down the Kaimon Mountain and 'Umikaze', the sea wind blowing up from the ocean play the determinants of the relative difficulty of the course. 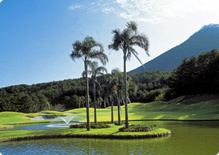 The 18 holes with a combination of easiness and difficulty are full of strategicness. The average area of 800 square meters of undulate bent grass greens are superbly maintained despite the fact that the course lies at the southernmost point of the Japanese mainland. Every year our course receives great praise and has an outstanding reputation among professional golfers who compete in tournaments overseas. Born in Tokyo in 1908. Mr. Seiichi Inoue dreamed of becoming the first Japanese professional golf course designer after he met Charles, H. Alison who, at the time was designing the Tokyo Golf Club's Asaka course. 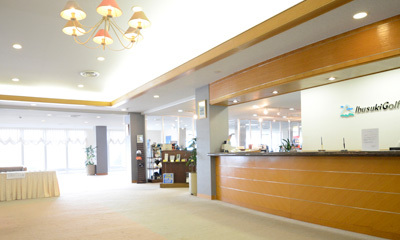 Since the mid 1950s, Mr. Inoue designed a number of golf courses including the place where the greatest golf championship is held, The Japan Open Championship. He died on November 26, 1981, age 73 which was the very same day that the first Casio World Open took place. One of the features of this course is known for its 'wind'. Hazards throughout on the course as well as 'Kaimon Oroshi', the gust of wind blowing down the Kaimon Mountain and 'Umikaze', the sea wind blowing up from the ocean, make it hard for you to plan your strategies. 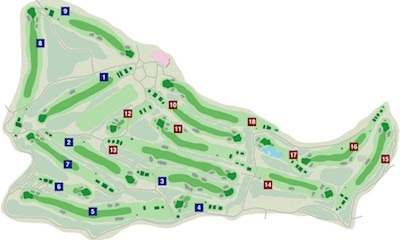 In particular are the four holes of the back nine, which add more entertainment and variation. This area has gained the greatest reputation among the 18 holes of the course for the combination of toughness of the 15th hole, a short on the 17th hole, and the long on the 18th hole which gives the last opportunity of an eagle. As a result of missing these different degrees of difficulties, the strategicness of the course has increased. Our course makes full use of beautiful southern nature and complexity. It has become one of the best professional championship courses in Japan and is renowned as one of the masterpieces of Mr. Seiichi Inoue. 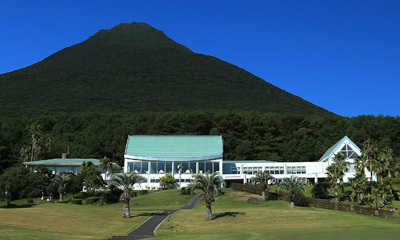 Mr. Inoue designed as many as 38 courses.